In case you live under a rock or have been at the cottage all summer, the NHL is switching over to Adidas branded NHL jerseys for the 2017-2018 season. The new jerseys are perfectly fine. They have a dopey larger collar that I’m sure will grow on me. The metallic shield and the additional holes in the jersey and numbers are big downgrades in my book. 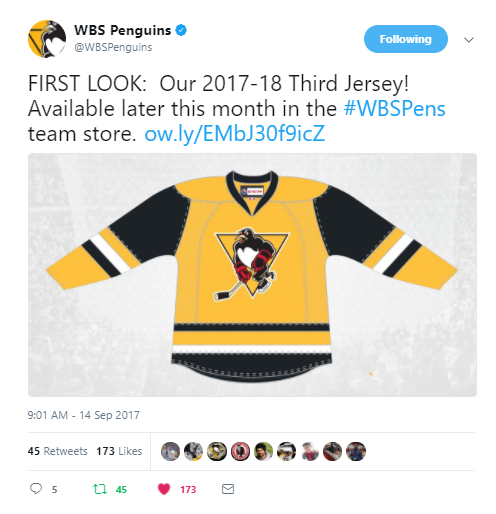 The 2017-2018 jerseys also have the dubious distinction of replacing the best jersey scheme the Penguins have had in more than 20 years: the 2016-2017 kits. Like a student claiming their dog ate their homework, the NHL and Adidas inexplicably have no third jerseys this season. Can you realistically expect a small mom and pop company like Adidas to be able to manufacture 93 different jerseys instead of only 62? That’s preposterous. The lack of a third jersey league wide is easily the biggest disappointment for jersey enthusiasts this season. The Pens third jersey will be sorely missed. 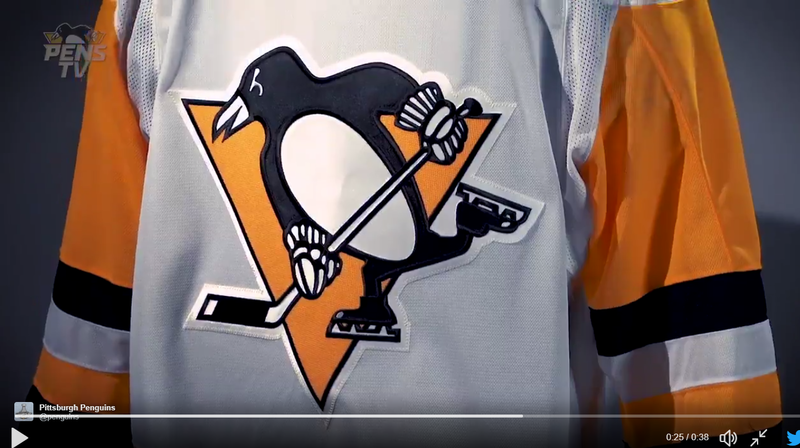 The best part of the amazing Pens third jersey was the “City of Champions” patch. This patch was a huge middle finger to that other city in PA that is not the city of champions. 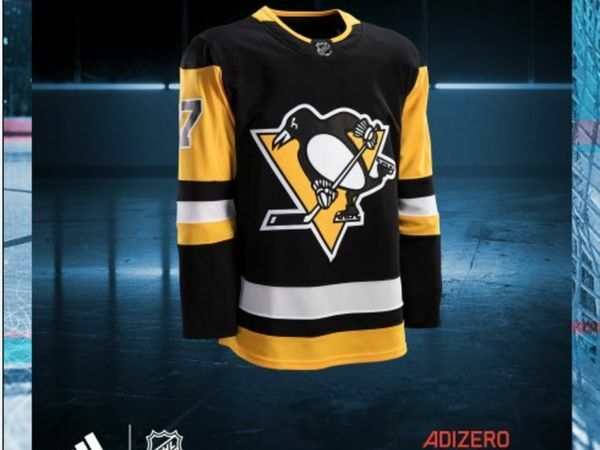 This season, rather than plunk down your hard earned cash for Pittsburgh jersey that is a huge downgrade over last seasons, here is a different avenue for you to fritter away your financial capital. Please turn your attention to WBS for some great news. 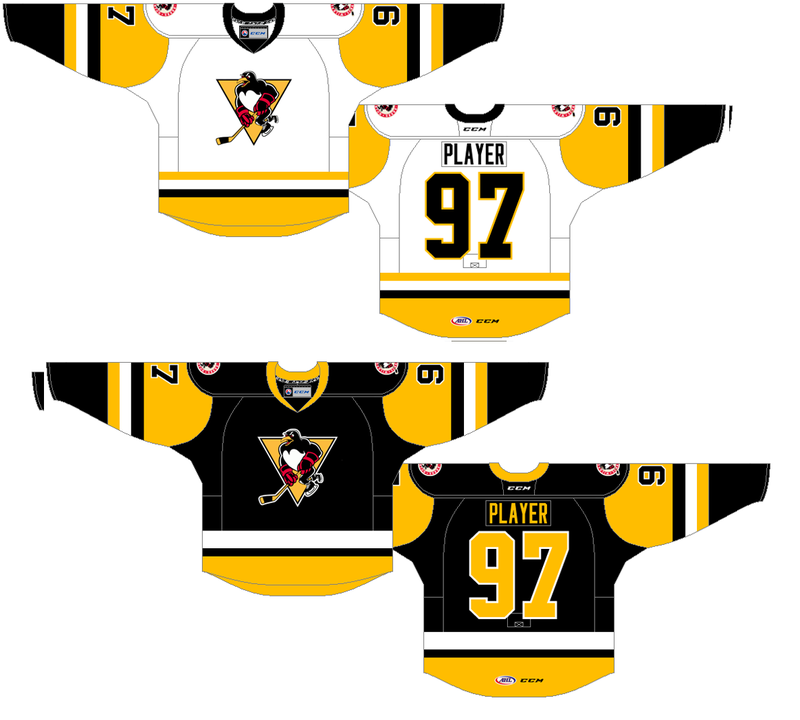 The WBS Penguins jerseys this season are fantastic. The home and away jersey are virtually identical to what Pittsburgh wore for the 2017-2018 season. The black and gold is beautiful. The jerseys are CCM which oozes hockey in a way Adidas branding never will. The shoulder crest is the now iconic WBS Penguin over the WBS seal. The same Penguin adorns the front crest over a triangle in homage to Pittsburgh’s logo. My only minor, minor complaint with these sweaters would be the use of the Pittsburgh triangle on the front instead of the WBS seal. But wait...there’s more. Remember the third jerseys from the 2017-2018 season? We have those in WBS now and they are stunning. The cuff of the sleeve is gold now, and there is a small additional white stripe, but they are clearly derived from the Stadium Series jerseys of 2017-2018. The only way these sweaters look any better is with the addition of a Calder Cup patch on them. My jersey budget this year goes to WBS 100%. Yours should too.